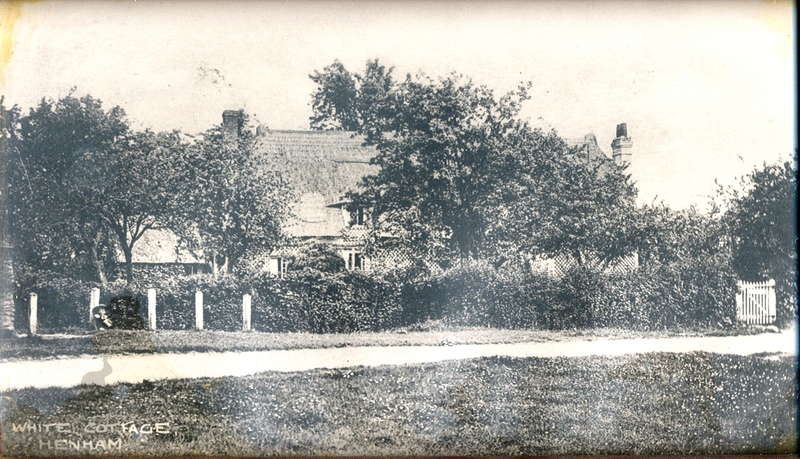 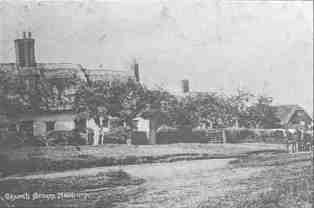 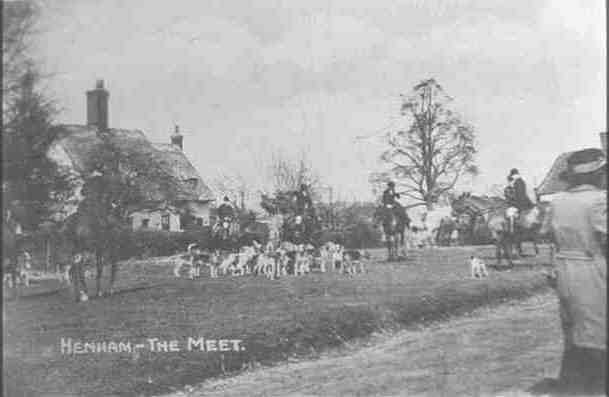 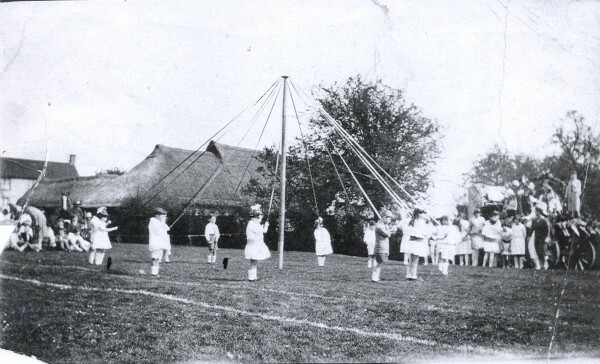 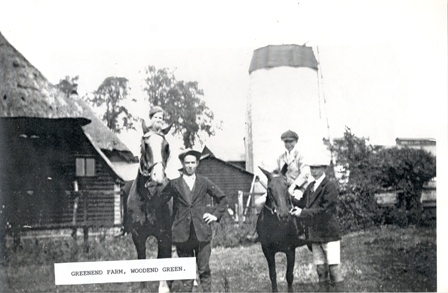 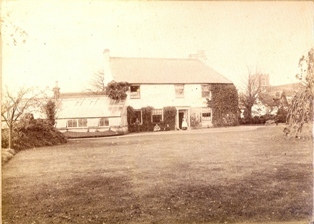 Green End Farm - on the left one of the Clayden twins is sitting on a horse held by Reg Bolden The field behind Henleys was where the village fete took place. 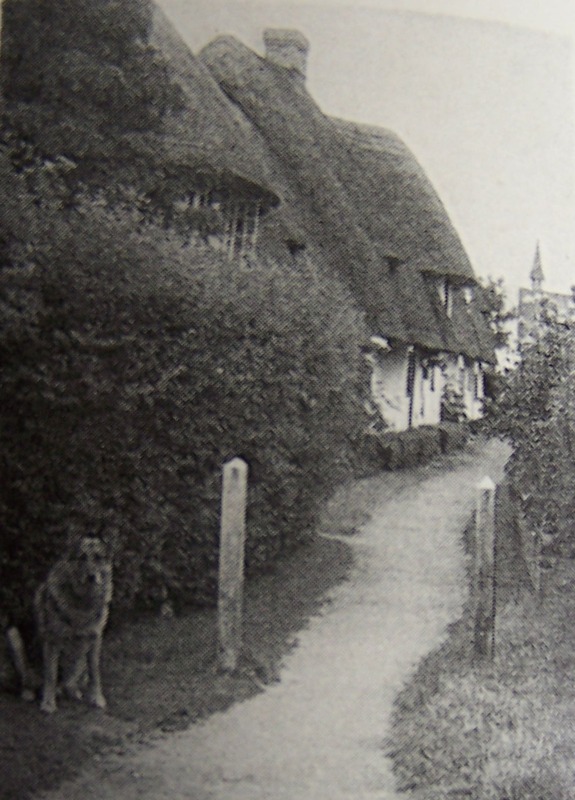 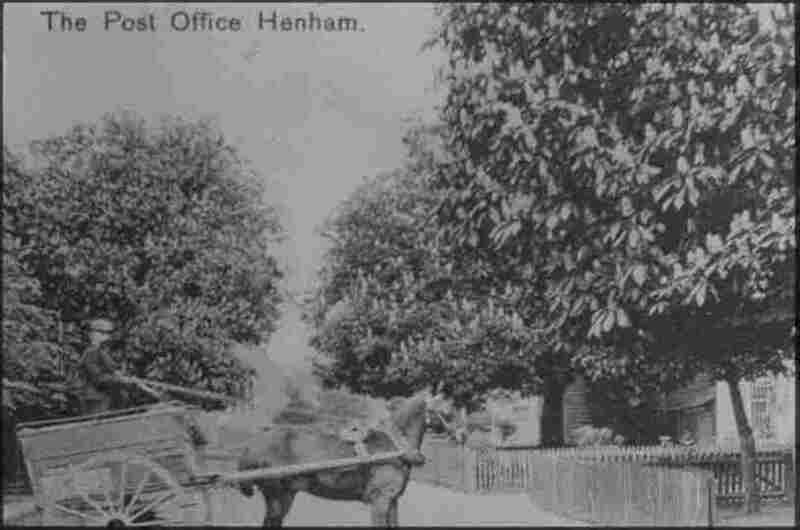 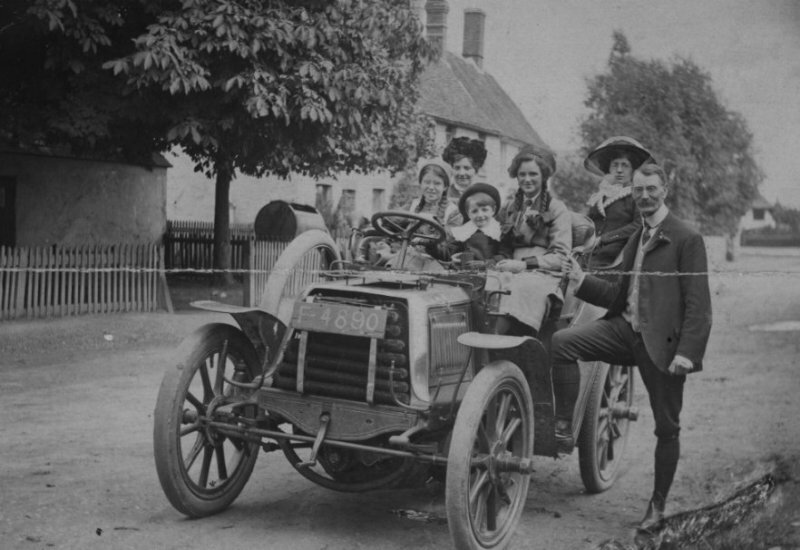 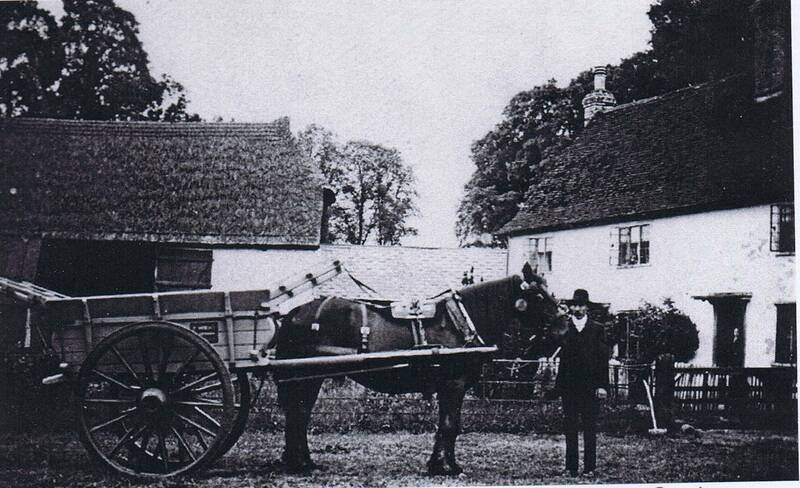 Mr Wright outside Bacons Farm before the First World War. 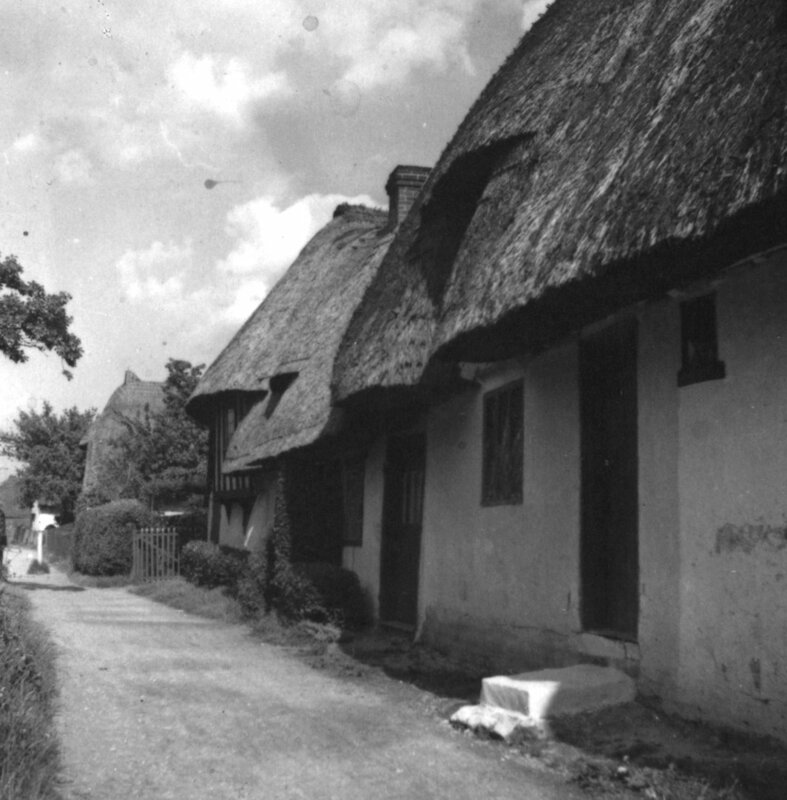 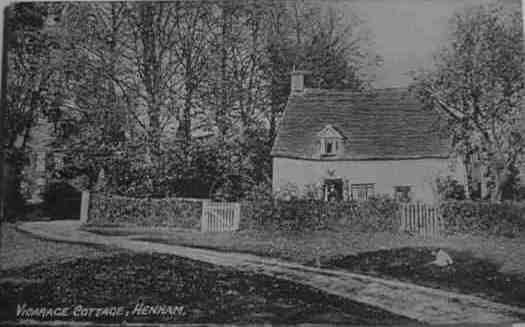 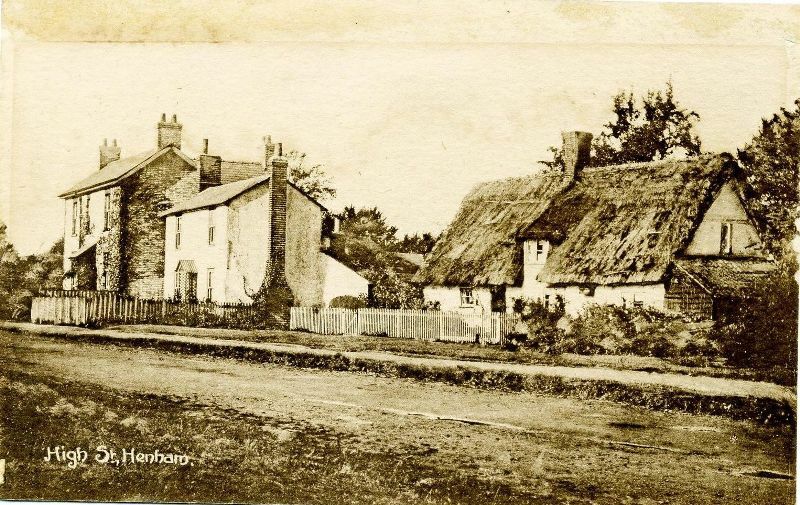 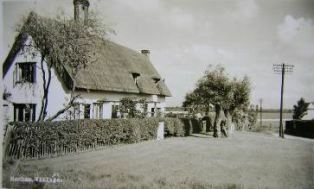 The thatched barn is now Bacons Cottage. 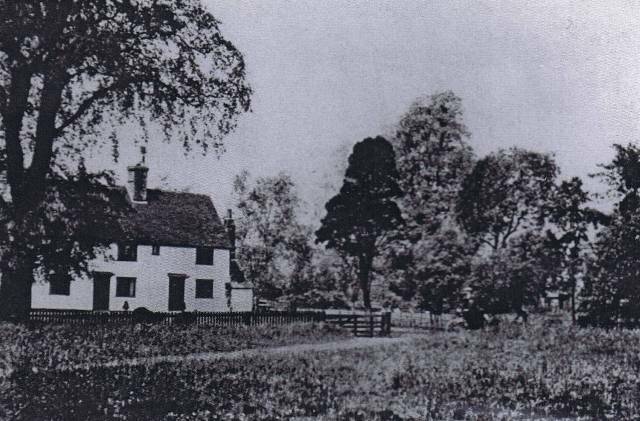 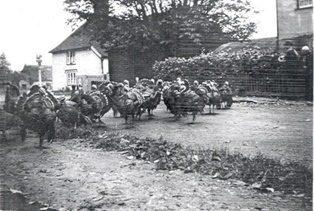 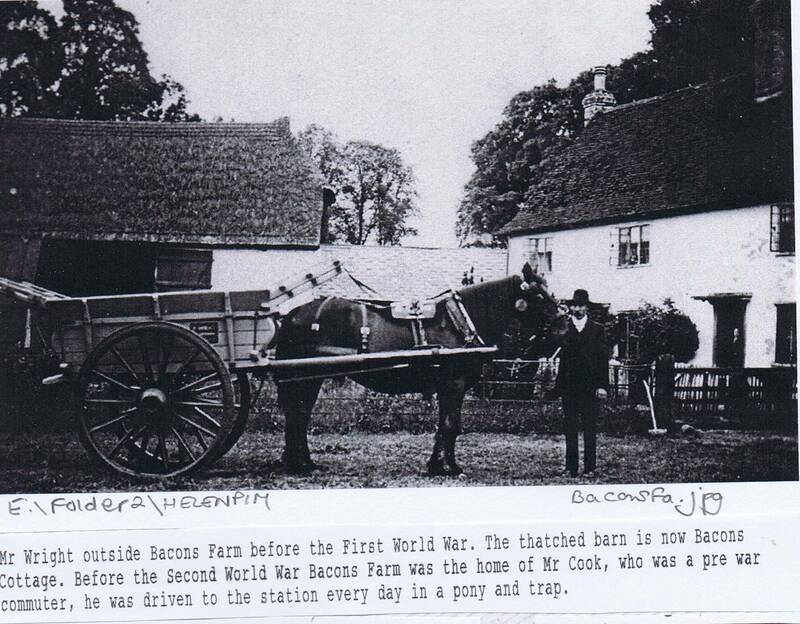 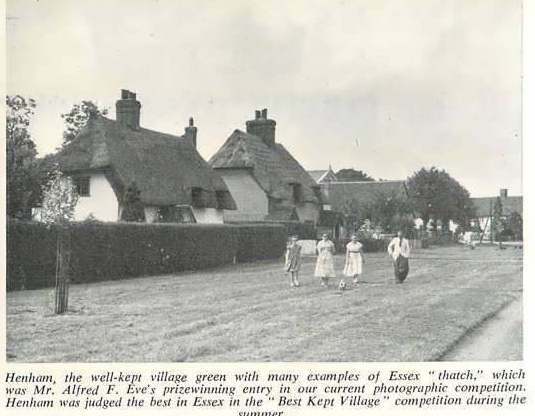 Before the Second World War Bacons Farm was the home of Mr Cook, who was a pre-war commuter, he was driven to the station every day in a pony and trap. 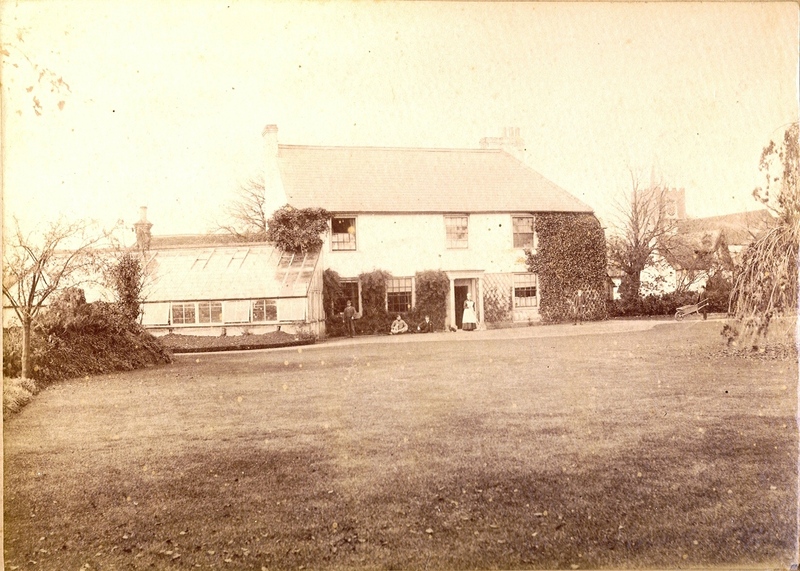 Below is a larger copy of the picture.